Such a little beauty - I am also having difficulty finding blue .! Such pretty flowers and perfect for the challenge. that's an amazing find. 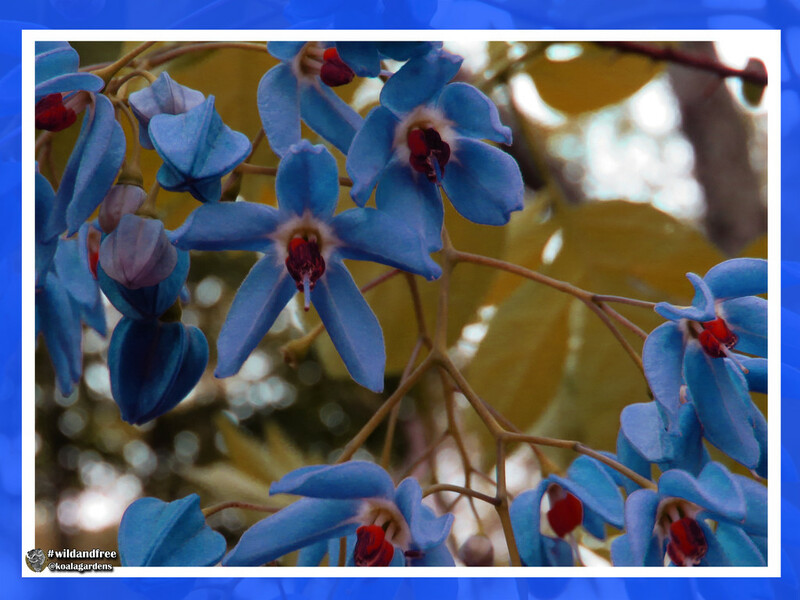 I never knew about these blue flowers. how rare! Such pretty little flowers, nicely done. I’m having trouble with blue as well. We’ll have lots of blue when the iris, plumbago, and lupine start blooming, but they are a couple of months off yet. You did find a beautiful blue plant here though. I’m going to try the aquarium when we get to San Francisco. A wonderful blue flowers and red eye. Great capture of this nice blue flower. How lovely, a new one on me! Excellent blue for your rainbow.